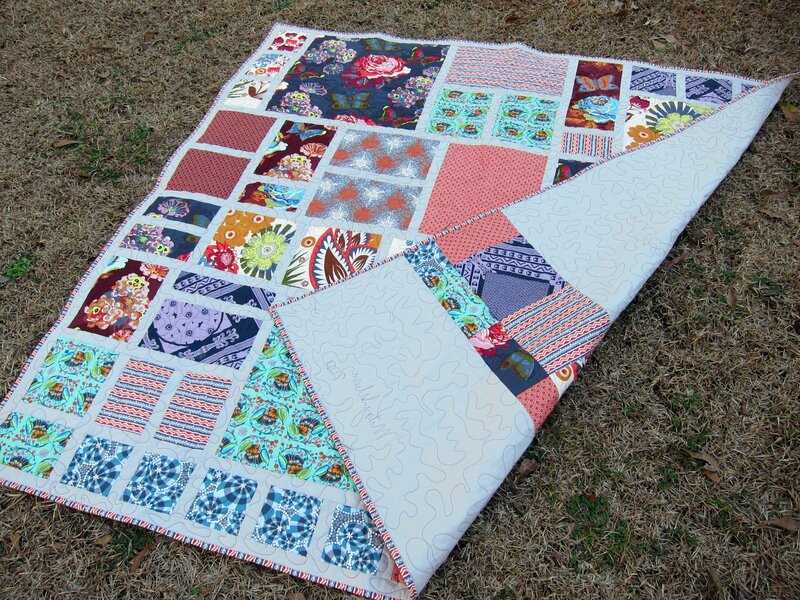 LiveLoveQuilt: Loulouthi Garden - Finally finished! Loulouthi Garden - Finally finished! I told myself I had to bind all my unbound quilts before I started anything new this year. So now that the binding is on this quilt I can pat myself on the back and move on to something new. Yeah! I do love this quilt. The huge flowers make me so happy. I have to say that Anna Maria Horner is my favorite fabric designer right now. 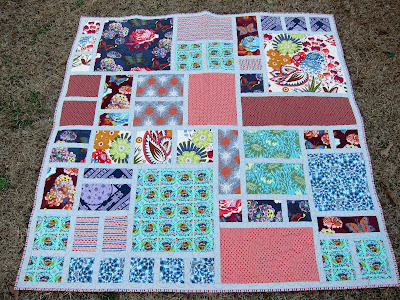 The pattern is Modern Rose Garden by Carolina Patchworks. I can hardly stand to look at these pictures with all that dead grass but I was too lazy to get in the car and drive somewhere to look for a better background. Sorry. 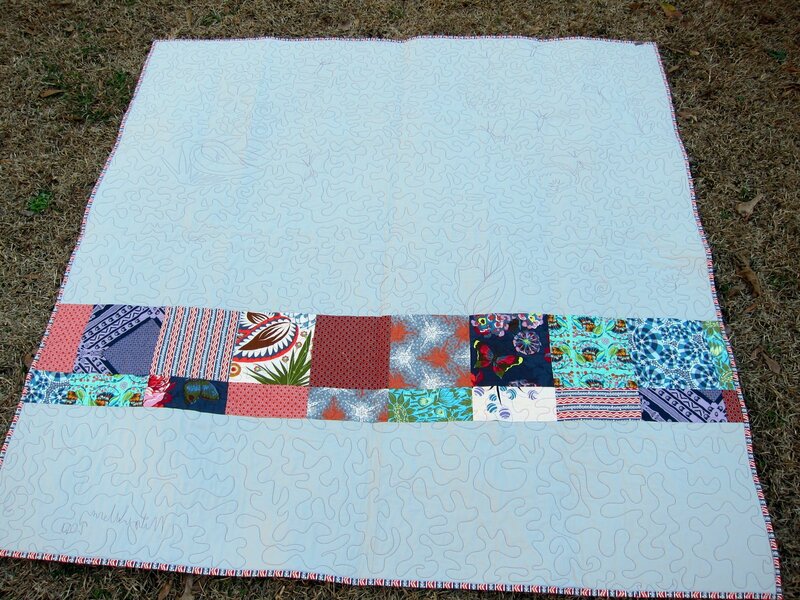 Of course this was quilted by The Grandmomma. She did a super job on it, I'm happy with the allover meandering she did. 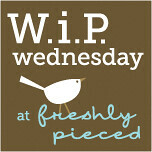 I used Kona Ash on the back and just pieced a little strip of leftover fabrics from the front about 2/3 of the way down. 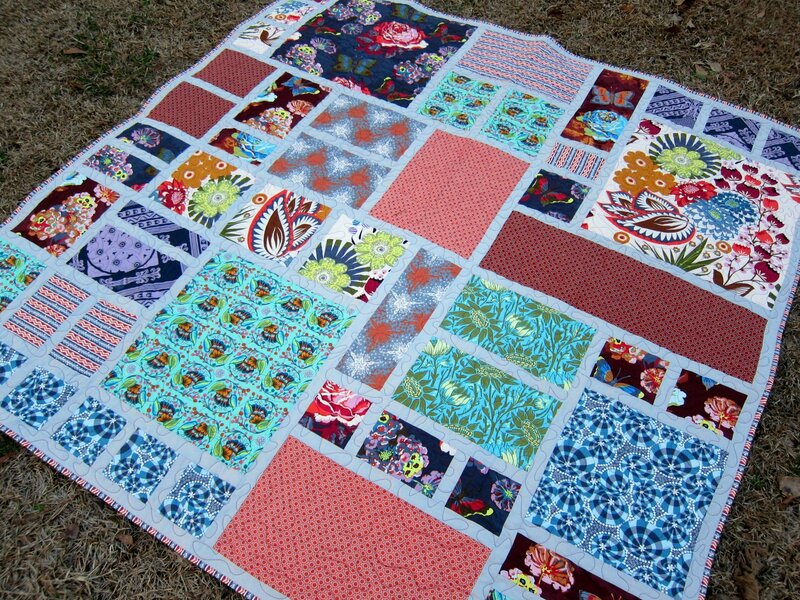 I want to show the fabulous details The Grandmomma incorporated into the quilting. I love how she mimicked the butterflies and flowers in the fabric. Just gorgeous Mitzi! Are you bringing it Monday? Oh, SO pretty!!! I just love it!! Way to go Mitzi!!! Very beautiful!! Congrats on a fine finish! Hi, Mitzi. Congrats on finishing--great quilt with really interesting fabrics! 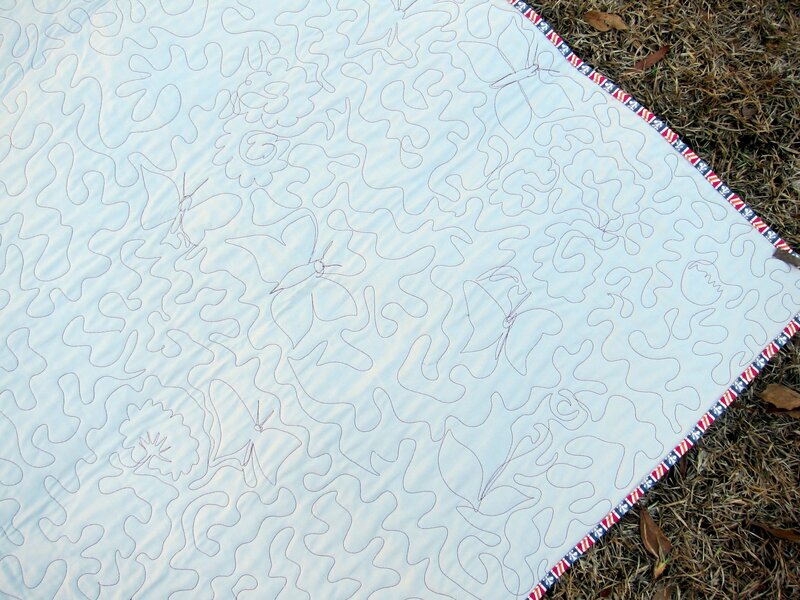 Nice quilting as well.